Twig Home uses this rake to display their gorgeous necklaces. 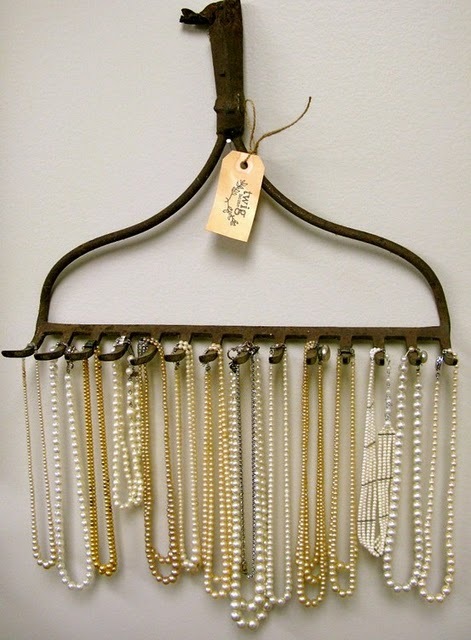 Another fun and unique way to organize and display your jewelry at home. I am not much of a jewelry person, but this is as good of a reason to buy some as any, right? 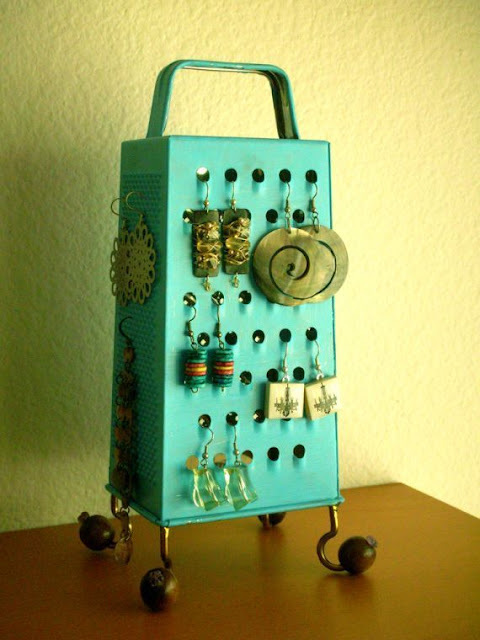 That and the cheese grater earring organizer. If you are looking for other crazy cool jewelry organization and storage ideas, check out this space saving jewelry storage and this repurposed jewelry organizer. And if it is your little one that has too much jewelry, you can check out this DIY play jewelry organizer.